Happy July everyone!! Today is the the first of the month, so you know what that means: African Aspirations! Since today is the start of a holiday weekend, I thought it would be appropriate to do a more upbeat Africa post. Today's post is all about a way YOU can make a difference in Africa by doing something I know we ALL love: Shopping! There are tons of companies that sell African handcraft and art to help support African charities and local economies. With a quick Google search, I found tons of the companies and figured I'd feature one today: Loving Africa. Loving Africa is a nonprofit organization and each purchase made on their website contributes to the income of a working artist and additional profits fund projects for AIDS-impacted families in Cape Town, South Africa. 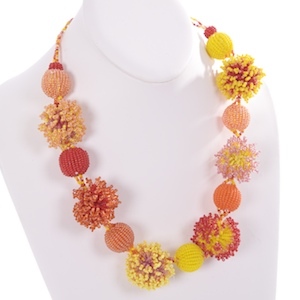 They have tons of different products, but I particularly like their beaded necklaces. No, not a necklace, but I couldn't resist: Isn't this little guy cute? I think this would be so cute paired with a white sundress! 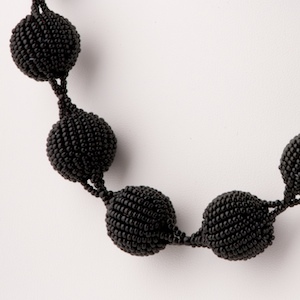 I think this black necklace is very chic! 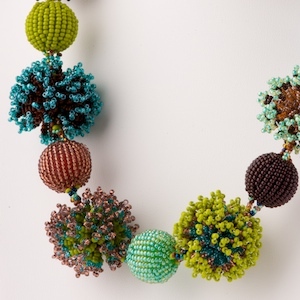 The colors in this necklace are so fun! In addition to these fun necklaces, Love Africa also sells other jewelry, clothing, handbags, home decor, and even recycled gifts! Do you like what you see? Do you support any companies like these? If you have a good one be sure to share in the comments section! To read other African Aspirations installments, click here. ﻿Be sure to enter my giveaway here! The last day to enter is Tuesday! I'm headed to Lake Gaston for the holiday weekend and will be back to regular posting (and hopefully blog reading as well) Tuesday! Any fun weekend plans? Whether you're celebrating at home this weekend or traveling, have a wonderful weekend and be safe! Those beaded necklaces are really special. Talk about a show-stopper! Those are gorgeous! What a fun statement piece they would make :) Have a great 4th! Great items and for a great cause. Enjoy the lake! I love the pink and yellow necklace! Such fun colors! I hope you enjoy your long weekend! I love those necklaces. It would be so great to own one! I'm at Lake Gaston also! Have a great 4th! everything looks so beautiful! and i love how they help people in need in africa, too. happy 4th of july! Those necklaces look amazing! Have a great 4th. These are beautiful, and what a great cause! I love the "fiery fluffy" one because of the bright colors, but I would buy one just because of where the money goes! 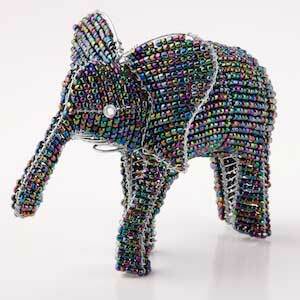 I have a beaded giraffe just like this. not sure if it's the same one but it seems like it. So cute!